Do we always tend to give the wrong gift? Signature Custom Designs, bringing you the solution with the Signature Custom Designs Gift eCard! This new product solves the problem of finding the perfect gift for your dearest friends and relatives. Without spending a lot of time choosing a gift, and without worrying whether your gift will be liked, in just 3 easy steps you can have the perfect gift! You choose the card and the amount, they choose the gift! For a truly unique gift, give a Signature Custom Designs Gift eCard. 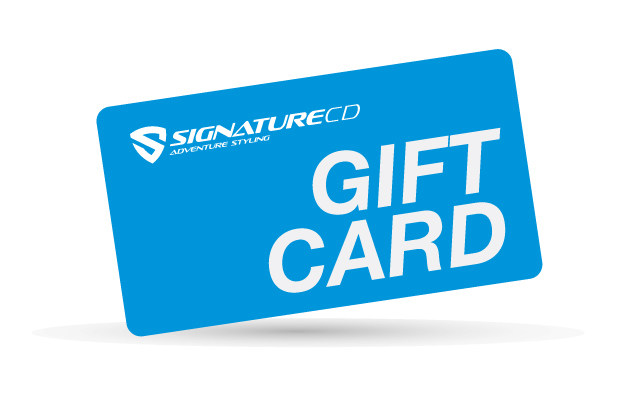 Signature Styling Kits and Protective Films can be ordered from the online store using the gift card.